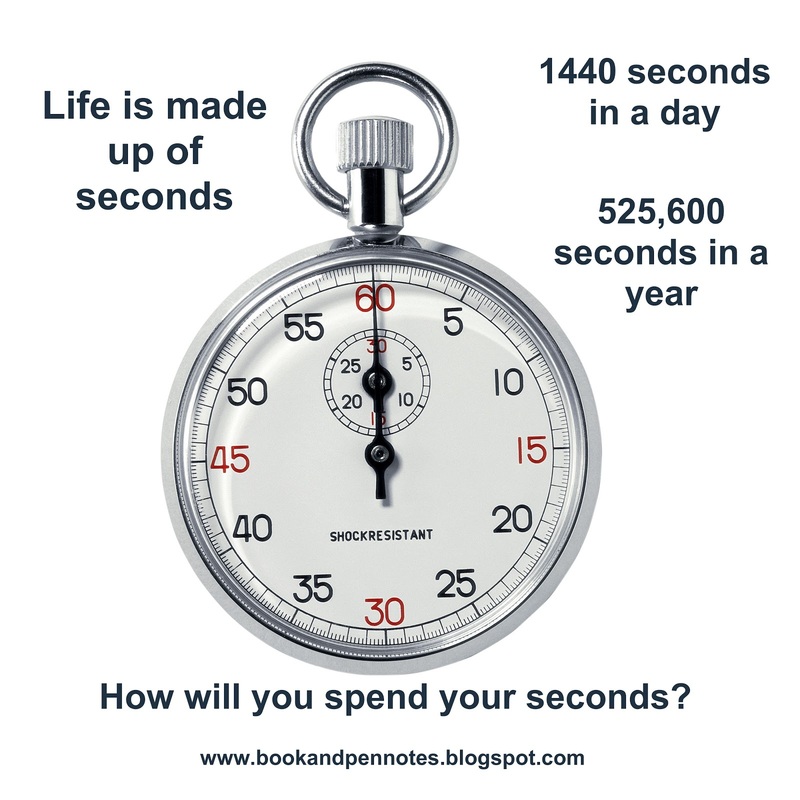 Writing Prompt - My life is made up of seconds - write for 20 minutes - Go. It was interesting a couple of months back I had a birthday, that wasn't so interesting, but the phone call from my sister was interesting. She told me that I had only 19 more years of 365 days to live until I reach 70 years old. I had never really looked at life that way. I always said life was zooming by way to fast, but to think of it that way kind of put a new twist on things. I know lots of people who are 70 years old plus, and honestly I kept thinking that was a ways off yet for me, but looking over the grand scheme of things, it isn't so far. Just how far is it? Well let's figure it out. I have 19 more years of 365 days which works out to 6935 days until I reach 70 years old. Those 6935 days turn into 166440 hours until I am 70 years old. Those hours turn into 9,986,400 minutes or 599,184,000 until I turn 70 years old. Wow, when you break it down no wonder it goes by so fast. Now I am not saying I am going to die when I turn 70 years old. Quite the contrary, I hope I live to see 90 and beyond. I am not afraid to die. My beliefs have taught me that life on the other side will be pretty sweet, but while I still have 19 more years, 6935 days, 166,440 hours or 9,986,400 minutes or 599,184,000 seconds to go until I reach 70, then why not make every second count. You see life is made up of seconds. We each have 86400 seconds in each day. That doesn't seem like very many, but that is what it is. So what we each do with those 86,400 seconds in a day is what really matters. We can choose to throw them away. We can choose to work them to the bone. We can choose to stare at a television or other kind of screen. We can choose to make them productive, make each one count. For in the grand scheme of things, 86,400 seconds in a day goes by way too quickly. I don't want to waste any more of my seconds that make up my life. I want to make them happy memories. I want to make each day count. I want to live some of my dreams in my next 599,184,000 seconds. I want to spend them doing the things that I love to do. I know I have to put a large portion of my seconds into work, so why not make work something I love to do as well. No more time wasters for me. You see I think television and video games are huge time wasters. If I sit down and watch a tv program, I will always have a project in hand that I am working on. I am just not that person who can sit still and do nothing. That kills me. I think I just need to shift my mind set to make sure that every second I live has a purpose or value to it. That purpose might be as simple as playing with my grandchild, or going for a walk, or enjoy the sounds in my back yard, but whatever the purpose is, isn't as important as making sure each second has a purpose. My life is made up of seconds, so is yours. Let each second have a purpose, a value, a reason for using it, otherwise we are wasting seconds, and we don't have a lot of seconds to spare. Think of it like a bank account. We have $599,184,000 in our account. What are you going to do with it? Will you share it with those you love? Will you waste it away foolishly, watching it dwindle in numbers until all of a sudden you realize you only have $86,400 left? You can't get it back when it is gone. You can always make more money, but you can't get your seconds back. I dare you to make a list of what you would do with the money, and make another list of what you will do with your seconds. Don't waste it. Use your seconds wisely. 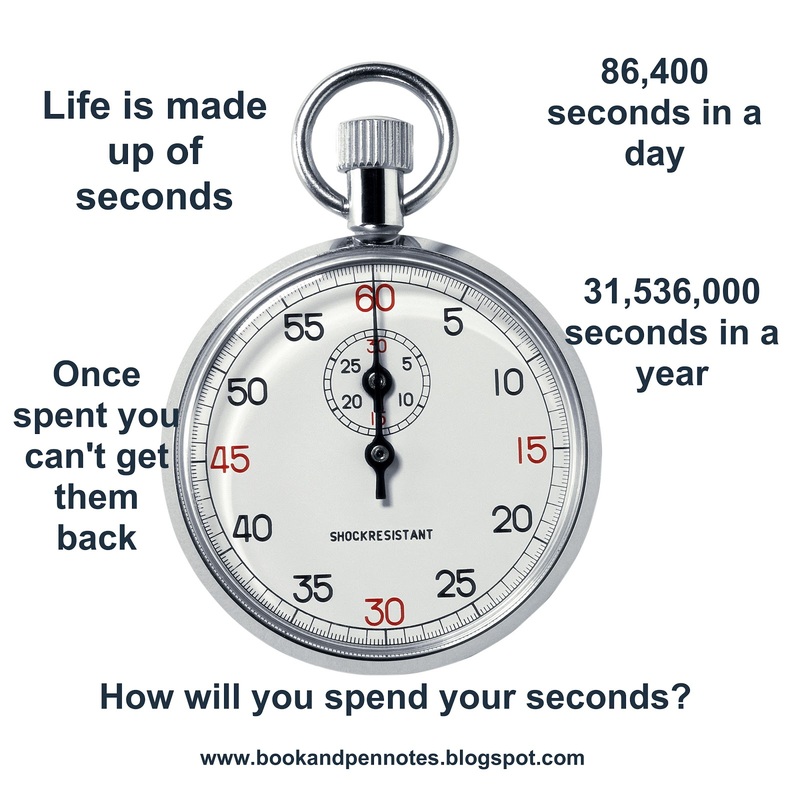 You only have 86,400 seconds a day.